PLEASE DO NOT FORGET NOVEMBER IS ADOPT A SENIOR PET MONTH! Nominate your deserving shelter and we will choose one and send them a Vapor Clean machine when possible. As the years pass, it is our wish to continue to share a part of our success with others. Without you we could not accomplish this. While giving to local children's organizations and shelters at the holidays in 2006 we expanded this wonderful opportunity to give to well deserving organizations and animal shelters throughout the year. We know that not everyone is pleased with their purchase 100% of the time. We maintain the tradition of donating returns to animal shelters across the USA. Our guarantee of new unused products to our customers opened this unexpected, yet desperately needed and appreciated product to a cause close to our hearts. Our restocking fees cover the cost of your transaction to credit card companies, shippers etc. 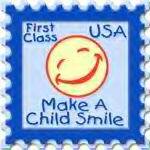 We at Vapor Clean in turn donate the actual returned product and shipping wholly to shelters in need as our thanks. Steam cleaning adds cost savings and health benefits for low funded animal shelters and their tireless volunteers. Please fill out the contact form at the bottom of this page. "It's not how much we do... but how much love we put into doing it!" On behalf of Sugar Glider Guardians (a 501(c)(3) nonprofit organization dedicated to helping sugar gilders in need), I want to thank you for your generous donation of an awesome steam cleaner to our recent fundraiser. 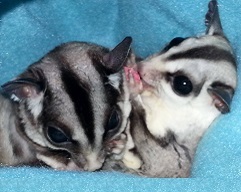 Not only will the proceeds of the fundraiser go to help sugar gliders in need, like those pictured below, but the steam cleaner will be donated to and used at the New England Wildlife Center to help rescued animals there. This was a truly generous donation and we are extremely grateful to you for your kindness. There will be so many animals helped because of your generosity. We sincerely appreciate you and think of you as true sugar glider guardians! Vapor Clean, I personally wanted to take a moment to say thank you for supplying our shelter with a Vapor Clean machine, this unit is phenomenal! We use it every day since receiving it through your grant/donation program and truly didn't realize what we thought were clean floors were not until we received the unit. 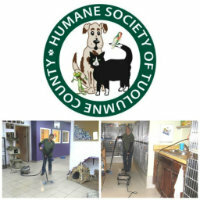 Your company provided us with a professional cleaner that we did not have the funds for and truly want to tell you how much that has meant to the animals in our care and our shelter overall. Once again, words cannot express how deeply we appreciate your help and kindness. And, I've included a couple of photos of the unit in use! May your holiday season be the best and here's to your continued success in 2014! I am dreaming of purchasing one of your steamers because of my household of ten rescue dogs. Most are geriatric and due to that, are less housebroken than they used to be. Goes with the territory. Due to high med bills for four of them right now, I cannot afford one. But I've got one on my wish list! However, I know of a place that needs one even worse that I do! In looking at your website, I see that you make donations to shelters. My husband and I have been involved in rescue for years and for many of those years we helped St. Clair County Animal Shelter. It is a small shelter located in Pell City, Alabama. As you can guess, they are not located in a wealthy county, but do the best with what they have. They are the only shelter in a rural county and are, unfortunately, a kill-shelter out of lack of any other options. They do absolutely EVERYTHING possible to avoid that end for every animal that comes through their doors: thru weekly mobile adoptions at a local PetSmart, contacts with breed rescues across the south, transports to other shelters/rescue groups, etc. They have a small contingent of volunteers who do their best to find homes for as many dogs and cats as they can. I know one of these steamers is something they would dream of having, but it is not in their budget either. If they could be so lucky as to get one, I know they would use it to it fullest potential to help save the lives of those that are so in need of help, especially in these days of abandonment and lack of money to spay or neuter. It would be so awesome if you could please select them to be the recipient of one of these incredible machines. Thanks so much for this special thing you do to help the helpless! It's a rarity these days! I have told so many people about your wonderful products. I have used my Pro5 for several years to keep my home clean and safe for my cats. I want to tell you about my favorite pet rescue group, Lifeline for Pets in Pasadena/Monrovia, CA. This group has about 100 needy animals in it's care at any given time. Please consider donating a vapor steam cleaner to help them keep their Cat Pad safe and clean for these animals. They have a limited group of volunteers that care for the animals, and a cleaner would be a tremendous help to them. Here is their site, to help you get a closer look at their good work. How may I help you? : I am President of a 501c3 tax exempt animal rescue org. in MN. Our shelter from which adoptions of stray/homeless animals are done needs a steam type cleaner in order to stop the spread of potential disease. Every penny from adoptions pays vet bills of which are discounted in order to contain adoption fees. Donations are non-existant due to this economy. We all hold down full time jobs in order to stay above water. We have been in operation for 6 yrs and worked hard to build a respectable reputation in our community. Using chemical such as bleach are toxic to these animals. We have used other products that are "green" but are not working. I have put some time into researching steam cleaning machines that would not only clean the floors, walls and ceiling but the kennels of which have doors that are the biggest problem killing bacteria. Your products appear to be the best in the business and of course way out of our reach. Would you ever consider donating either a returned machine, slightly damaged, floor sample or demo or possibly a new one? This type of maintainence would eliminate alot of illness that appears to be coming from the kennel area. Anything donated of course is tax deductible. I would be happy to write a testimonial on your behalf as well that would show the public you have compassion as well as a social conscience. So many of these animals go into the kennels healthy after exams are done by Veterinarians and their surgeries are healed. Yet within 7-10 days they come down with colds that hamper adoption efforts thus restricting animals waiting for our help. I would be most grateful if you could check into this for me. I can also fax any supporting docs you would need. Sorry for the length of this! I appreciate your time and consideration. What department would you like to speak with?